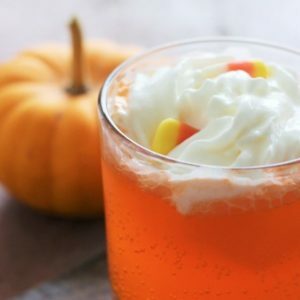 October 26, 2018 0 comments on "Halloween Stuffed Peppers"
Easy Halloween dinner idea! 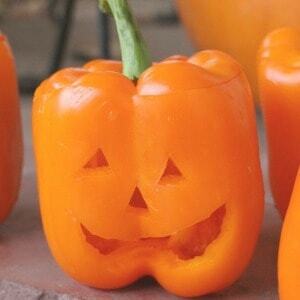 Make these Halloween stuffed peppers mexican style, with spaghetti, or vegetarian. 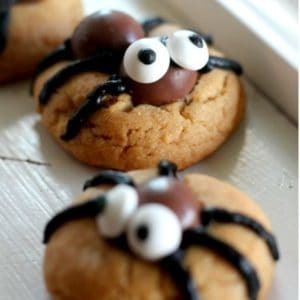 October 1, 2016 0 comments on "Candy Corn Punch"
September 30, 2016 0 comments on "Spider Cookies for Halloween"
These spider cookies are an easy fun treat for kids for Halloween. 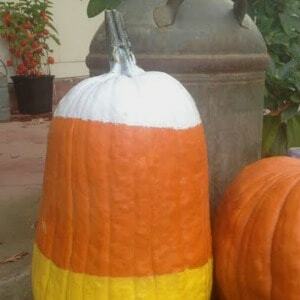 Let your kids or grandkids get in on the fun and let them help decorate them! 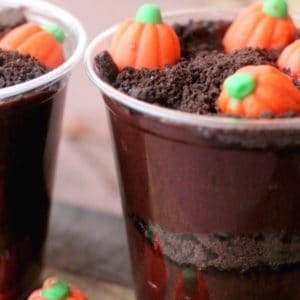 September 20, 2016 0 comments on "Pumpkin Patch Dirt Cups"
These easy pumpkin patch dirt cups are a fun fall or Halloween treat for children's parties.